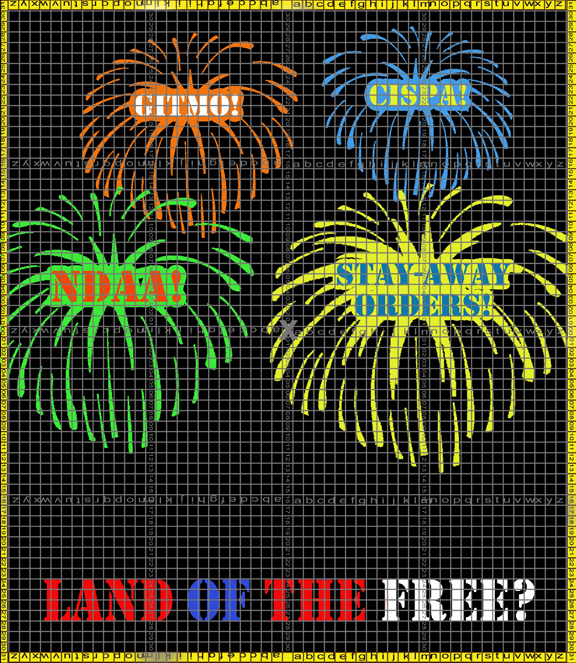 This independence day we decided to lament lost freedoms. 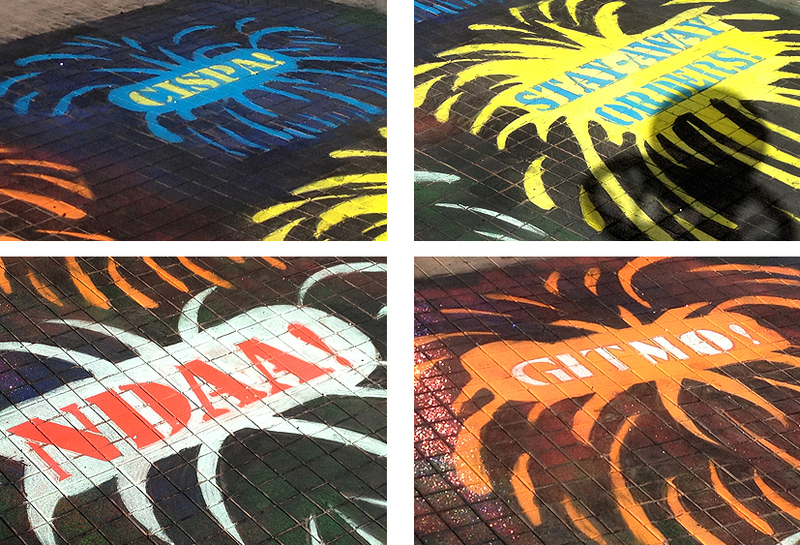 I designed fireworks with the words: Gitmo, NDAA, CISPA and Stay-Away Orders in the center of the fireworks that begged the tag-line question “Land of the Free?” I had to practice various styles of fireworks before I found one that I thought would work in chalk. 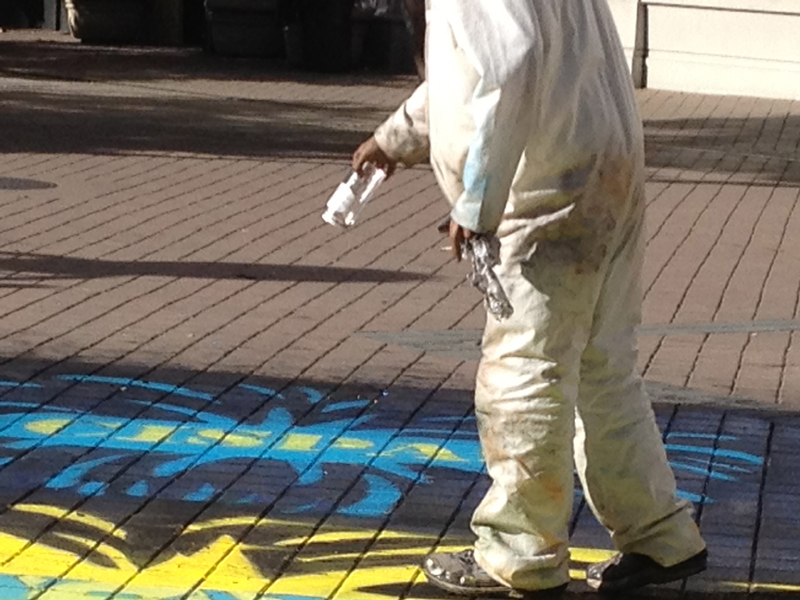 It was really easy, when blending the colors with the black, to create an ugly grey mud. The failed, first experiments adorned my driveway until the winter rains washed them away. Testing things has saved me many a bad experience in the field. Some days before, I had come across some large containers of glitter on sale at the art store and after testing them on the driveway at home, I hid them in with the chalk boxes, coveralls, gloves, rags, first-aid, cups and other useful items I had learned to bring with me. 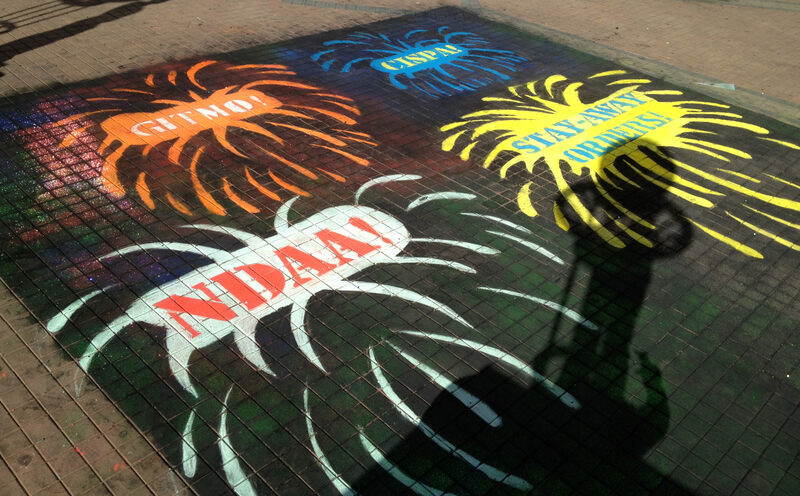 When the chalking was done, everybody had fun shaking the sparkles over the night sky which made it glitter as you moved around it. It was around this time that we also started bringing large jugs of juice and water for washing up. Chalk is really dirty. 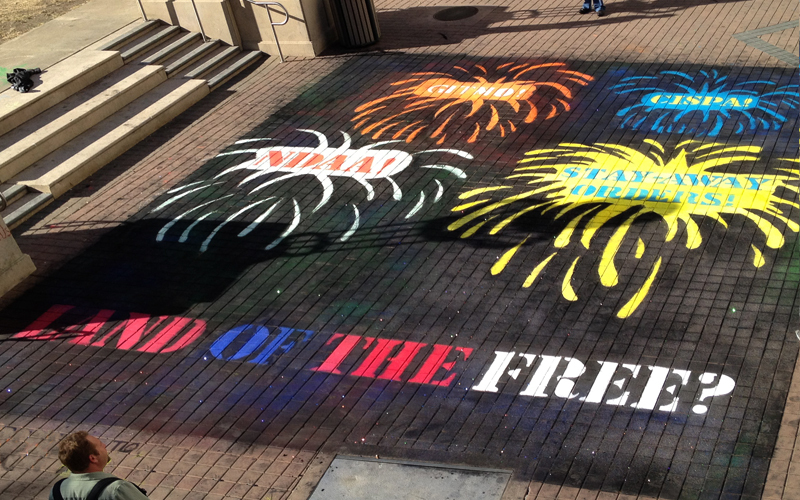 Filed Under: Chalk Actions Tagged With: chalkjpy, Fourth of July, Land of the Free?